In detail page we have focused on typography and minimalist design. Your post can even go viral with the help of various sharing options beneath each post. You don’t need to add any social media plugin, as its all included here. Why buy this MiniMagazine Light theme? Because this is the best WordPress theme so far of its kind. With this theme, you can create a clean looking, minimalist site that’s focused on content and typography. We have focused on the content very thoughtfully, neglecting the not so important stuff and including only the necessary features with the best usability and easy of use. Yes, take the right decision. Save time, money and hassles. 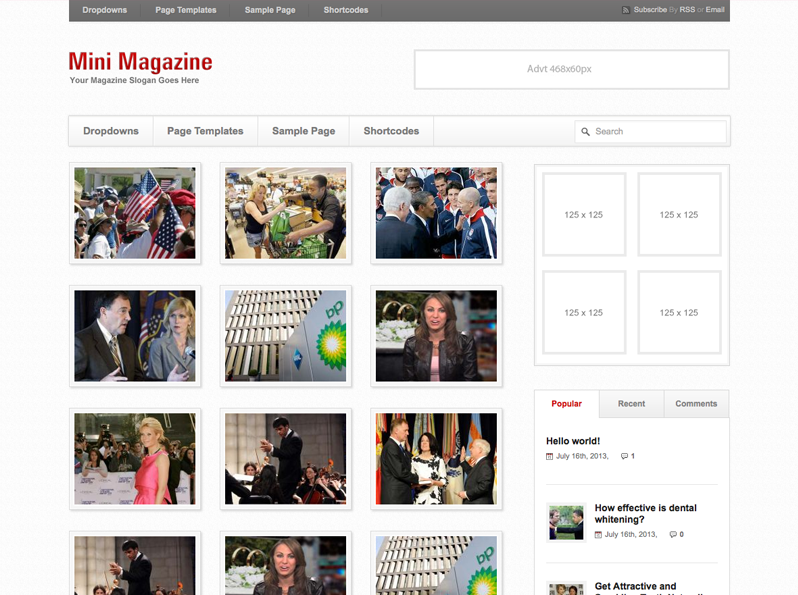 Create an Magazine site easily using this theme. Buy Now and Start a site immediately.